Running is the best way to maintain body fitness. You need not extra equipment to do it every day. If you want to be a professional runner, you need to build your running habit slowly. You can train for the 5K run at the beginning. A 5K target will inspire you to focus on your first goal of the run. This goal also helps you to start your fitness level within a time commitment. You can lose your body weight at least four or five pounds by regular running. Couch to 5K training program is needed for the beginner runners to improve their running quality. You can choose an eight-week or 10-week running program for your first 5K race. A 5K running program is basically for the beginner runners. It contains run, walk, and rest. The walking is for warm-up the body. Besides, the run is easy to run. You should complete the run in a relaxed mood. At the beginning of the training, you should run slowly. And keep brisk pace in every walking and repeat the walk or run for number of times. The main positive thing of a 5K run is that anyone can take part in it. It is the best distance for the novice runners and also good for the speed test of competitive runners. It is the important part of the larger running program and builds speed of the runners. If you want to take part a 5K training program, you need not prove your ability at the first time. You need to have the careful balance between your mileage and speedwork. However, 5K training program contains four categories from the beginner runners to competitive. During your 5K training, you need to follow some tips to be successful. Let’s see some tips. For everyone, there is no exact pace for your run because the ability and fitness are not same for everyone. As a beginner runner, you should follow the conversational pace to build your running confidence. It means you can speak complete sentence during your run. You should not run such a way that you need to breathe heavily that you cannot talk clearly. When you find that you are out of breath, then you should slow down yourself or walk for sometimes. You need not many items for your run. Just running shoes are most important. Choose the right and comfortable pair of running shoes and socks. Besides, you need a sports watch. For this, go to your nearby local running accessories store. The people working in the store also help you to choose the best one for you. Before your regular run, you should follow a warm-up routine that includes stretching, walking to make the blood flowing regularly. You should do some dynamic stretching instead of static stretching. Dynamic stretching such as walking lunges, high knees, leg kicks will increase the flexibility of the body to prevent injuries. After such exercises, walk for five minutes and then speed up your running pace. After a run, recovering is essential. Running makes the body and legs strong and tight. When you run, your every step forces your body. After sometimes run, your muscles can be imbalanced and slow you with some injuries. So, you need some post-run activities to get your body balanced. After your run, you should stretch yourself to avoid injury. You should focus on major muscles, hamstring, back part, joints, hip flexors. The beginners want their total body strength with some workouts. You can do the core exercises without going to any gym or without any equipment. You should focus on your body weight and do some activities. As a novice runner, you should limit your sped day once a week. Do not take pressure because it can cause injury. So, try to improve your strength and speed gradually. For the beginners, running style is unique and new. While running, do not look at the shoes. Look forward. Turn over the stride to run faster. Avoid overreaching with stride. On the uphill, you should shorten your stride. And while running downhill, you will lean forward for the gravity. Improving the race time is the key to win. It is the best way to continue your training program of a 5K race. You can learn some techniques and rules of a race. It also inspires you to make your target and reach your goal. To be a successful runner, you need to be confident and stick with it. Do not miss any day of your training. Always try to fight against the desire to skip it. Remember your target and continue your running. So, follow the schedule as correctly as possible to be successful. Many people think that to be a successful runner; they only need to try more. It is true that running is essential to improve the speed. But too much run can cause injury. So, for proper fitness and lessen the injuries, you need cross-training. Cross-training means the activities that are good for your running such as strength-training, cycling, jogging, yoga, etc. Any bad weather condition can harm your running training. Sometimes, it is not possible to go out for the run in bad weather. In this case, plan some indoor exercises. If you have a treadmill, you can practice it. Besides, you can do jumping rope, stair-climbing, etc. at your home. Work for 20-30 minutes. It is better than skipping a day. If you have someone to company you, your running training will be fun for you. You can take a friend or a family member. Besides, your dog can be the best running partner for you. During your running training, your body becomes stronger. But proper resting is also essential. You should include some rest days in your training schedule. By this, your body can recover during your rest. If you do over-training, you may have to end the training with an injury. So, always listen to your body. Besides, if you can sleep for 8-9 hours at night and eat well-balanced food, your body will recover properly. During your running, you can talk with the partner or after some time take some rest. Try to make your running a fun and comfortable. Try right pace by the talk test. If you see that you can talk during running, it is the right pace for you. Do not try too hard run. As running needs a lot of oxygen, sufficient breathing is very much needed to get enough supply of oxygen. Use both your mouth and nose to take air. Try to link the breathing tempo with the foot strikes. Breathe in 2-4 steps and out it 2-4 steps every time. If you are gasping for oxygen, you should slow down. Think your running as shopping for some clothes. We are not same in strength and style. So, one’s style is not good for you. You may fast runner than another. So, do not compare yourself with others. Speed is the measurement of your success. Other people may like your style and try your style too. So, focus on your tyle and try to keep it unique. You should be careful about your eating habit. Your training is getting fuel from your foods. You can keep a log of your daily consumption. Eat smaller but frequent meals with some balanced foods such as fruits, vegetables, protein and little amount of fat. Do not skip any meal because it will hamper your performance. If you do not get proper fuel, you cannot run comfortably and efficiently. It is the 5K training program of a coach Ed Kerry. This training plan is better for three sessions in a week. You can space your sessions out when you wish. But be careful about rest day because it is very much needed. Each week, every session is the mix of some running and walking. Let’s see the schedule. For your first five minutes, you should walk gently, not run. Then for last five minutes of the exercise, walk again without running. In the middle twenty minutes, run in a relaxed mode. You can run for sometimes and then walk. You should follow it for three days per week. Other days are for taking rest. 3rd and 4th week: Walk for 18 minutes in only one direction. Then turn around. Return the position before by running another 18 minutes. We see that in this session, you need to walk for 36 minutes. Then walk for first and last five minutes. In the middle, run for 26 minutes easily. The run of the middle will contain jogging and some walking. When you feel tired, you should walk for few seconds until you recover. You should do this workout four times a week. 5th and 6th week: Come out from home and go to the running track by walking 20 minutes. Then run for 30 minutes. In this workout time, you can also walk for few seconds when you feel tired. Walk in pace and do not push yourself. Then walk in a slow mode for five minutes and complete your workout. You should do this workout for 4-5 times a week. Two days are for taking rest. 7th and 8th week: Walk for 20 minutes. Then run for 36 minutes gently. Jog until feeling tired. Then walk for few seconds to recover your strength. Again run. Complete your workout by a five-minute walk. You should practice this workout for five times a week. These two weeks are for five days schedule per week. In the training day, you should walk gently for five minutes. Then run for 40 minutes at a relaxed pace. Walk for two minutes when you get tired. Then again run. Repeat the run throughout the running session. Now complete the session with 5 minutes walking. You should do it for five times a week. There are some tips for you on your running day. They will help you to do well in your first 5K race. Keep all the necessary things ready before the night of your race day. Do not change your shoes and another wearing. Wake up early morning and see all your necessary items. Then get ready and go for your race. Do not load yourself with carbohydrate on the run day. Overeating can cause gastrointestinal distress or some other issues. So, take the normal and regular portion of a meal. Enjoy a healthy dinner at night before the race day. Do not try new foods. You should be informed correctly about your race. You should know when the race will start and when to finish. And reach the spot before an hour to get ready and comfortable. Then warm up yourself. For a 5K race at first time, you may feel thirsty and want a drink to keep yourself hydrated. So, you can take a water bottle with yourself or drink from the water station. Decide that what is better for you before the race. To keep yourself hydrated, it is crucial to visit water stations. Stop a water station within your run and take some water. Then slowly get back on your pace and gradually increase the speed. You can also use a fuel belt. If you want to use your MP3 player, you should load the favorite music before the night of your race and charge it. Do not do it in your hurry time because it will create some unnecessary stresses. You need not any stress this time. When you see that, you are in the front of all other and going faster enough, you should pace yourself with others. Find someone and adjust your pace with him because it will help you to complete the race properly. For a long race, it is better to divide the course into some sections. It will make your run comfortable and easy. Divide your 5K run into four times. Then slow down between two times. You do it by following the street corners or the lamp posts. If you are not in a relaxed mode, you will be less efficient. So, try to keep your mental pace during your race. Keep in mind how you are doing the race and how you feel. Relax your shoulders, breathe and hands. It will help you run easily. You can convince some of your friends or family members to come to the race spot to give you support. If someone who knows you cheers you on this day, it will provide you with the inspiration to boost your run without tiring you. Besides, when you see the known people at the finish line, you can share your moment with them. 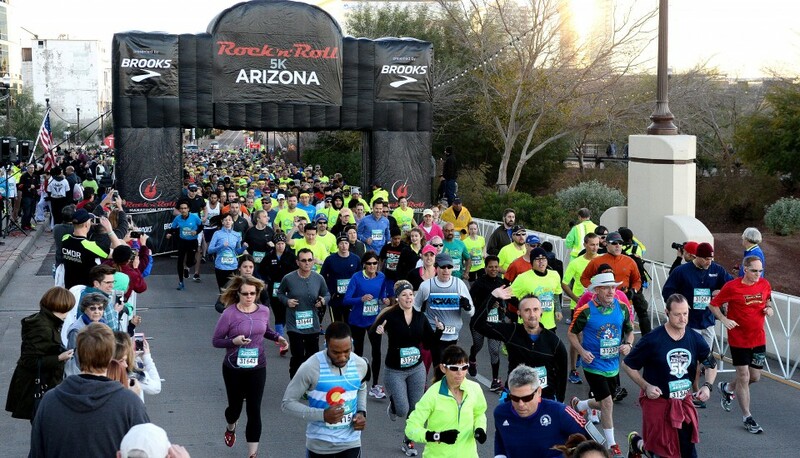 Take your first 5K race as a fun. Just enjoy it. If your performance disappointed you, you cannot move properly and be annoyed. Then read your log later, and it will help you to avoid this kind of experience. Remember that, every person faces a lousy day. This thinking will help you to fade this bad memory quickly. Recovery is essential on the running day. Use the days of rest wisely. After your race day, take enough rest. Eat properly and enjoy a sound sleep. Try to recover you as soon as possible. Your 5K run will contain a schedule of a variety of workout and a routine of per week activities. Cross-training: Cross training is necessary for the strength of your joints and muscles. For CT, do some cardio activities such as biking, swimming, etc. for 30-40 minutes. Tempo run: It is essential to improve the anaerobic threshold that is very much needed for a fast 5K race. It means a pace run of 5-10 minutes before the main run. Then after finishing the run, do it again for 5-10 minutes to cool down yourself. Interval workouts: After a run of 300-400 meters, you need some interval workouts. It is for recovering you by jogging or walking. If you run for three times of 400 meters, then you need the recovery of 400 m walking. Then end it with 10 minutes jog. Rest: Rest is vital for your recovery. It also prevents injury. So, do not skip or avoid the rest days. When you take rest, your muscles take time to recover themselves. So, do not run every day without an off day. It will hamper your improvement. You can take rest on Friday and do a speed run on Thursday. Saturday long workout: After a day rest, Saturday is the best time for a long workout. Do some warm-up exercises. Then run at a conversational pace to a designed mileage. Then do some cooling down exercise and stretching exercises after the run. If you run most of the times on a road, you cannot determine how far you are running. So, in this case, you can use a mobile app to determine your mileage. Besides, you can drive your care on the running route and measure the distance from the odometer of your car. The schedule of 5K training is designed such a way that it contains both easier and harder workouts. See the exercises for every day in details. Mondays and Fridays: These two days are the rest days. Rest day is important to recover yourself. So, take rest on the rest days. Besides, you can enjoy some light activities on Monday and Friday. Tuesdays and Saturday’s activities: After warm up, run at the conversational pace for few minutes. Run in such a speed that you do not need to grasp for oxygen and can talk easily. Then control your breathing by slow down. Walk for some seconds and end it with some running stretches. Wednesday workouts: On Wednesday, you should do some cross-training such as elliptical trainer, biking at the moderate mode for 40 minutes. Besides, practice some strength training to improve your performance. Thursdays: On the Tuesdays, you should run at the 5K pace. You may not be sure about a 5K pace. So, in this case, you can run at 3.1 miles speed. Start it with some warm-up and also cool down after the run. If you have already completed a 5K race, now it is your time to improve yourself for the next goal. If you want to improve your record with a 5K run, you need a speed training. In this article, couch to 5K training program will help you to complete your training within 10-week. But To be a successful runner, you need to be a hard worker. Then have the right pair of running shoes to prevent legs and feet injuries. Do not miss all the workouts days and rest days. Besides working hard, take sufficient rests and eat well-balanced foods. After your first 5K race, do not be upset with your performance if you fail to do well. Then target your next goal. You can prepare yourself to 10k running race. Flow our Couch to 10K training program.